Roger Federer and Novak Djokovic will meet for the 38th time in the BNP Paribas Open final on Sunday. “I think it's very exciting for both of us, and also for fans, to see a rematch of the great final from last year,” said Federer, who holds a 20-17 record over Djokovic in their ATP Head to Head series. “I'm looking forward to it, and I hope I can keep up my good play. 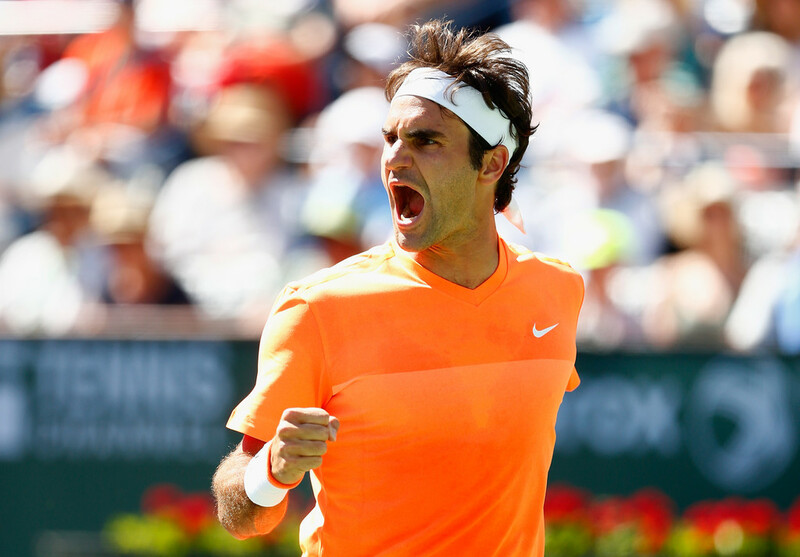 Federer could clinch the moniker “King of the Desert” should he win an unprecedented fifth Indian Wells title. He was a champion here in 2004 (d. Henman), 2005 (d. Hewitt), 2006 (d. Blake) and 2012 (d. Isner). With his fourth-round victory over Jack Sock, Federer became the first player to hit 50 match wins in the desert. Helping to provide déjà vu is the fact that Sunday’s final will be a repeat of last year’s championship match in the desert, the first time the final has ever been a rematch of the previous year in Indian Wells history. Djokovic beat Federer in that match 3-6, 6-3, 7-6(3), and the defending champion knows he will need to bring his best to fend off the Swiss again. “One thing about Roger is that he always makes you play at the highest level if you want to win against him,” said the World No. 1, who is looking to win his fourth Indian Wells crown (2008, ’11, ’14). “That's something that's always in the back of my mind. This is something that makes me come out with the highest possible concentration and intensity and commitment. Federer holds the second-most ATP World Tour Masters 1000 titles at 23, while Djokovic has 21 on his resume. Adding to what is at stake on Sunday, the Serb is also aiming to become the 12th player in the Open Era to win 50 tour-level titles. He is currently tied with coach Boris Becker at 49. “I think we are both happy playing each other,” said Federer. “We are both playing very well, so this is a time to face off for both of us, in my opinion. “I know I need an extra special performance tomorrow because Novak's going to push you there to come up with a lot of great shots in a row, which is not always easy to do. So I will see how it goes. “After losing by so little last year I was quite disappointed, even though I was happy with how I was playing.